Don't know if you're familiar with Santa Ana winds in Southern California. Added half the speed to landing of the crosswind component. 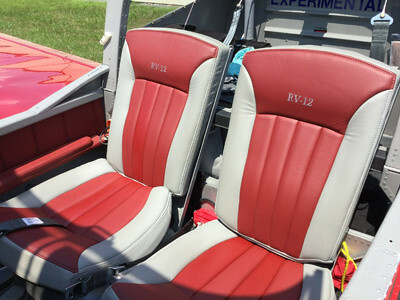 A RV-12 is "responsive" compared to a 172. Everything seems to respond faster, climb faster, etc. I do also remember that "Sport" is in the definition of "LSA". Scott, while most of your builders and pilots are former pilots, a few of us are LEARNING from scratch, in an RV-12. Perceptions vary. IMHO, and MHO only, it's quick in response. Certainly compared to the Cessna's I've flown. It's not a negative feature. You just get a lot of results from a little bit of input. Maybe "touchy" wasn't the best choice of words. 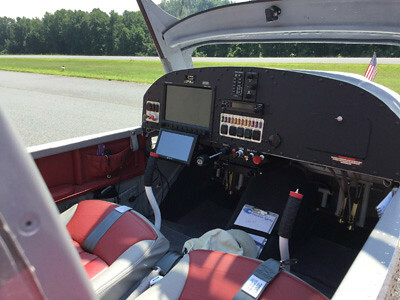 When you are new to this, moderate turbulence flying feels like a good jousting in an RV-12. Time and experience, hopefully will change that feeling. It's not good when you're in it, and you start feeling queasy, as was the case flying back from Copper State FlyIn. First impressions, Scott, first impressions. I still have the RV grin. Last edited by NinerBikes : 03-14-2019 at 10:05 PM. Your lack of experience with other airplanes is showing a bit in your post. 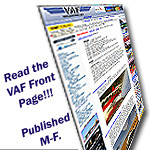 Some of the characteristics that you present in a rather negative tone are the very things that endear the airplane to the majority of ‘12 pilots. True, it is a very responsive airplane with light control pressures required, but to desribe it as “twitchy” or “slippery” gives the wrong impression. And, your advice on landing speeds might be OK if all you operate out of are very long runways, but generally speaking, carrying excess speed in the approach is a bad habit in any airplane. 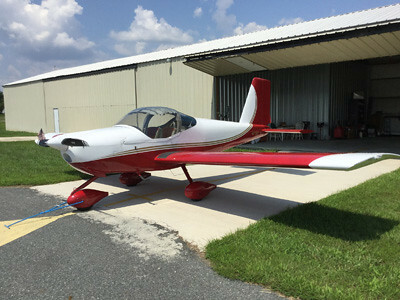 DF Signature Series RV-12 On The Market! Last edited by Skunkworks : 03-15-2019 at 10:35 AM. Buy it and enjoy. Take my good buddy Dave12 on his offer he is a short hop from Martin State. A class act gentleman and a skilled craftsman. Did a lot of work on my airplane. Me... not you... unless you are inexperienced. Not my intent to imply it's negative. It is sensitive, in inexperienced hands. As to the landing speed, we were probably right a 1280 to 1290 # on landing, pretty heavy, less about 4 to 5 gallons of fuel. Having come from motor cycles and mountain bikes, and seeing the same brand of grips from mountain bikes sitting there on the joy stick, my inclination, with a grip sitting there like that, is to grab a handful, not hold it between my thumb and index finger to operate. Perhaps that will help you with MY perception. It's a grip, yet it seems the RV-12 flys just fine with the touch of thumb and finger tip. 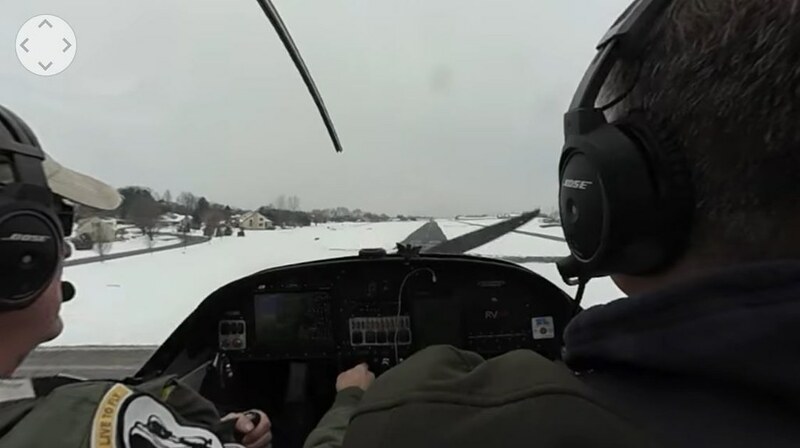 FAA has stated that the Sport Pilot License was designed to get more people into flying. Yet, from what I read, all it's been doing is getting PPL's that are about to lose their medical to switch to a SPL, so they can still fly on a drivers license. What I am seeing is schools teaching in SLA's because it's lowering their operating costs per hour, to teach. Maybe I should just go look at a Kitfox 7 instead. I'm just not used to the stick getting mushy and a lot less responsive, going slower, yet... practice, practice, practice. Another point... I live 4 miles N of KVNY 16, practically under the flight path in Los Angeles. Jet traffic is everywhere, here. I haven't flown into anything short... yet. It's very busy around here, in the air. Last edited by NinerBikes : 03-15-2019 at 10:56 AM. 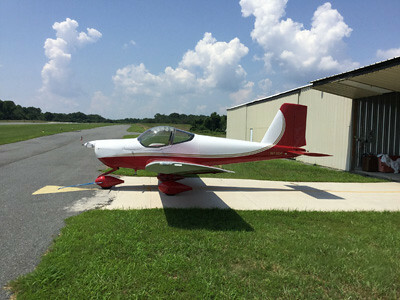 Hard to beat the RV-12, it is a dream machine! Jane has almost 1000 hours on her and she is a dream to fly. Can't say enough about the RV-12 and their capabilities as an economical ship. Sipping MOGAS at 5 or less gal/hr. Cruise easily at 120 knots. Last year Jane's 6th trip back from Oshkosh she did it in 5 hours one stop back to the Philadelphia area. As you can see I fly Jane year round. Oh and being an ELSA anyone can get their Repairman Certificate with a weekend ground course and can then do the Annuals on their RV-12. Woohoo! Last edited by Skunkworks : 03-16-2019 at 06:17 AM. Skunkworks, I just sent a PM. NICE VIDEO!